Today was my flip book workshop at Stampers Grove in Edinburgh, it was a great workshop and great fun with a lovely group of ladies .. 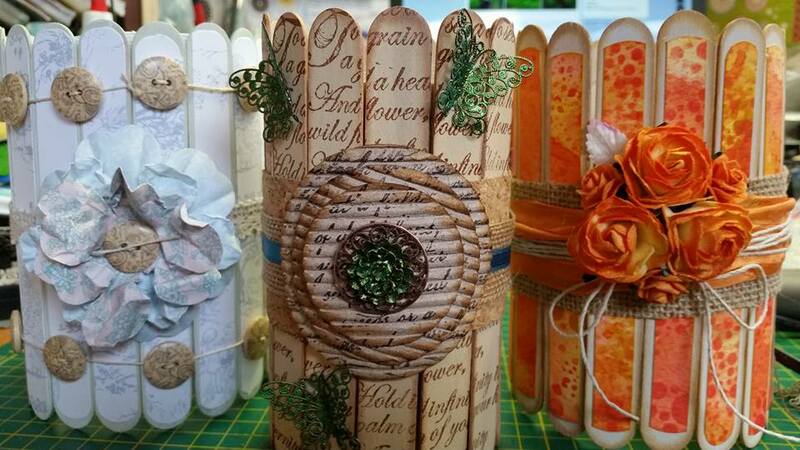 So instead of me making something new tonight I thought I would share all thelovely flip books made at the workshop today.. I have a quick post for you today as i have a super busy evening and will not be online. Join me at Stampers Grove for the next workshop on the 15 August (11am to 1pm) and make some beautiful paint pot holders like these. Book your place on 0131 221 9440 or pop in to the shop at 92 Grove Street, EH3 8AP. Cost only £12. Limited spaces so get in touch soon to avoid disappointment.